Sourcing departments in most client-provider partnerships maintain working relationships with suppliers that are generally overly formal. Unfortunately, such formality can hamper the trust and good communication required to bring about longer term value to both the supply chain and the company. Sourcing leaders should look to build personal relationships in order to ensure the best partnership possible. In terms of personal relationships, the three most valuable tools are patience, responsibility, and communication. As far as international sourcing is concerned, the most important of these tools is communication. It is important for sourcing managers and their teams to effectively communicate with their global suppliers. It is important for you to foster your supplier relationships and build trust with them. Doing so will ensure that if issues arise, you will be in a better position to negotiate with them, and finding solutions to overcome problems will become easier. 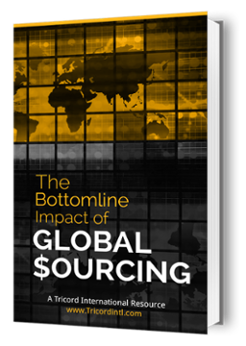 According to a recent survey, the two factors that most hinder the effectiveness of global sourcing include a lack of cross-cultural understanding and miscommunication. The survey revealed that some companies sourcing in low cost countries that adopted cross-cultural communication training programs managed to increase their productivity by 25%. On the negative side of things, the survey revealed that about sixty-six percent of all respondents experienced miscommunication in their international sourcing operations. The thirty four percent that did not experience any such issues were part of companies that employed cross-cultural training. This survey clearly demonstrates the importance of getting to know the supplier better in international sourcing. Regardless of where you decide to do business, becoming a true insider is important. The importance of ‘real’ world interaction is something that can never be overstated. It is important for you to know the person with whom you wish to have a relationship, no matter how much time it takes is the only way to become a true insider. In most cases, purchasing managers, while spending thousands and sometimes millions in procurement, have never made a trip to see the supplier. There are several reasons for this including the purchasing manager not liking the destination or the corporation not paying for the trip that keeps him/her from meeting the supplier. I realize that a trip may not be necessary, but when dealing with a culture, like that of China or India, where relationship is more important than the purchase order, making a trip might be a sound decision. Why it is so important to make the trip and meet your supplier, you ask? So you can improve your relationship and make your terms and future dealings better with your supplier. You can build a solid relationship with your global supplier by taking help from a global sourcing specialist such as Tricord. 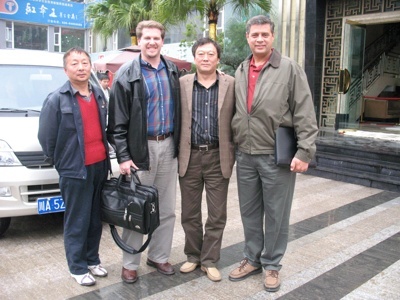 Over the last 20 years, Tricord has built and solidified strong relationships with global suppliers that value and support the needs of Tricord’s customers.